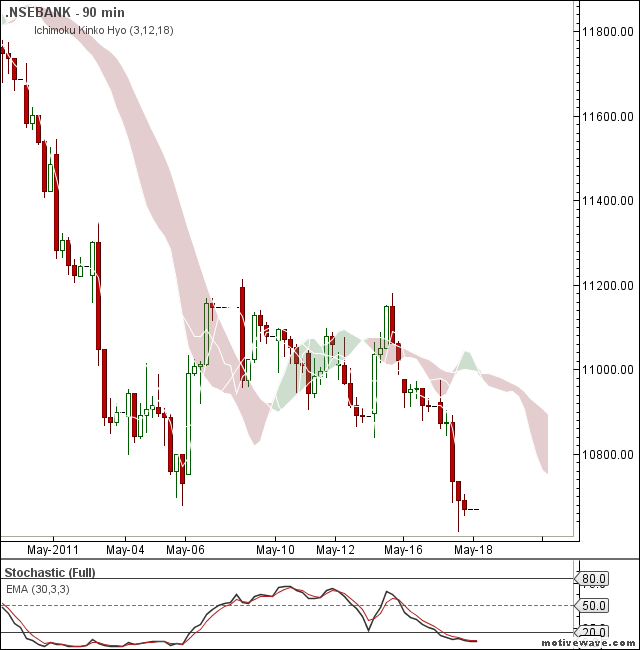 Nifty in sell mode with ichimoku cloud resistance coming near to 5532 and 10970 respectively. 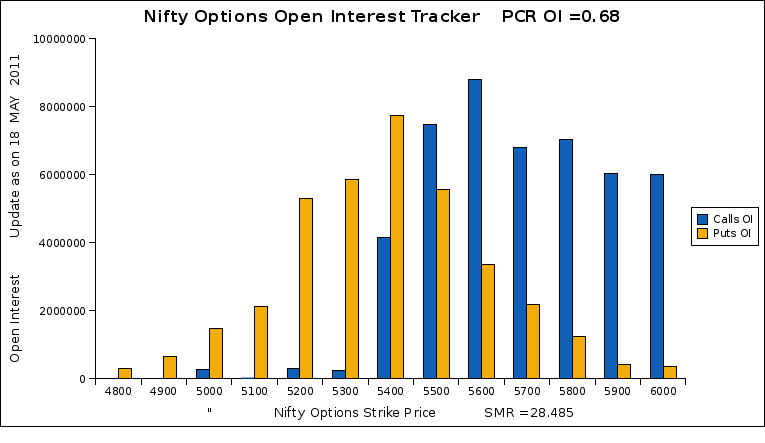 Higher Open Interest builtup seen in 5600 calls(call writing. 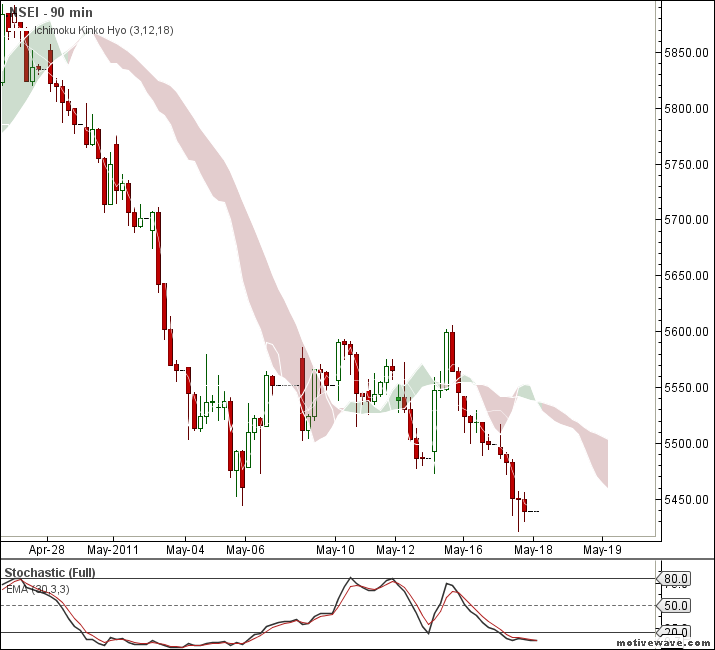 Possibilities of nifty sustaining below 5600 for current series.